For volunteers joining a marine conservation project, the learning curve is one of the most enjoyable parts of the trip. 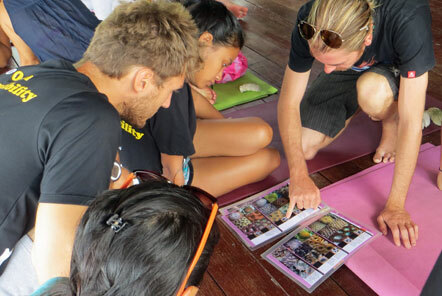 Volunteers are immersed in an active research team and involved with hands on tasks protecting, preserving and researching marine life in the Gulf of Thailand. For those who would like to prepare prior to their trip or just learn more about key issues in conservation that the team are working on, we have compiled a list of Further Reading for you to consider before your trip. Our team in Thailand accepts volunteers from all backgrounds – beginners, those with a keen interest and study experience as well as experienced biologist and conservation experts. Training is provided on site for all conservation activities and so no prior knowledge is required before you go. Each day starts with a lecture and briefing on the research topic and the Marine Biologist, Chad, and his wonderful interns, support volunteers in learning about the issues reefs face in Thailand. This list has been compiled with the support of the project team in Thailand and with guidance from Chad, the onsite team Marine Biologist. If you are going to pick one publication to read before you go, we recommend this one. The paper considers the shifting perceptions of reef scientists, many of whom are of a younger generation whose baselines are relatively recent and each generation can risk redefine what is “natural” based on their personal experience. Sale, Peter F. and Szmant, Alina M., (eds). 2012. 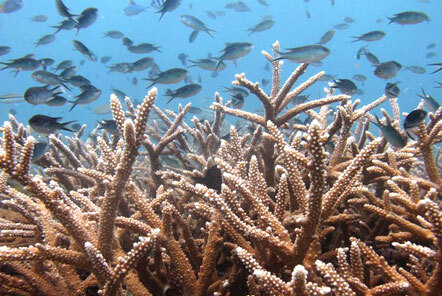 “Reef Reminiscences: Ratcheting back the shifted baselines concerning what reefs used to be”. United Nations University Institute for Water, Environment and Health, Hamilton, ON, Canada, 35 pp. We would like to say a big thank you to Chad from the Marine Conservation project for providing these recommendations. We hope that you find them useful!